Hoboken, NJ (April 2014)—Graduation is almost here. And while it’s a day you’ve been working toward for four (or more) years, the closer it gets the more your sense of dread escalates. 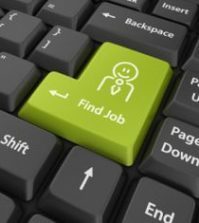 The reason why is no mystery: Despite endless web searching and countless emailed résumés, you still don’t have a job. And it goes without saying that the competition is fierce. 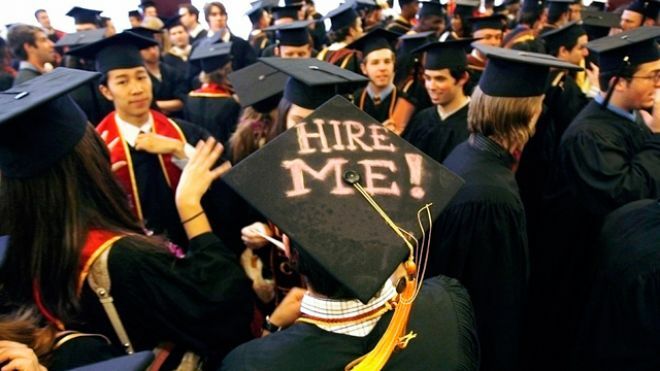 The rather bleak fact is 40 percent of recent college graduates are underemployed. So, what can you do to give yourself an edge? According to Ben Carpenter, it’s time to switch from “college” thinking to “real-world” thinking. If you treat each résumé-and-cover-letter combo the same way you do midterm papers (i.e., write, submit, hope for the best), you’ll spend eons in job-search purgatory. 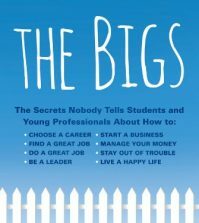 “Yes, simply filling out and submitting a job application used to be enough to get your foot in the door…but times and expectations have changed,” says Carpenter, author of the new book The Bigs: The Secrets Nobody Tells Students and Young Professionals About How to Find a Great Job, Do a Great Job, Be a Leader, Start a Business, Stay Out of Trouble, and Live a Happy Life (Wiley, April 2014, ISBN: 978-1-118-91702-2, $25.00). “If you don’t hit the ground running—and I mean that literally, you might have to show up in person at company headquarters—you’ll be overlooked. The Bigs teaches how to do just that as it conveys an actionable mixture of perspective and often very counterintuitive advice. Using detailed, colorful anecdotes from his own career, he lays out a blueprint that employees of any age and level of experience (not just recent grads) can use to get—and do—a great job. Having done it all, from opening his own bar to working his way through the Wall Street ranks to becoming the CEO of a major international financial services company, Carpenter is the perfect coach. Don’t think about what you want to do. Think about what you can do. “Choosing a career you can do well, rather than one that seems fun and exciting, might sound unappealing—but it isn’t,” he states. “The satisfaction you get from doing your job well will far outweigh how entertaining it is. Plus, think about how unhappy you’d be if your heart’s desire failed to pay the bills. For instance, if you’re a good writer, you might not want to pursue magazine feature writing—it may sound glamorous, but the field is crowded and jobs can be low paying. Instead, you might consider technical writing. “From personal experience, as well as from observing family, friends, and coworkers, I can state that most professionals are happiest doing what they are good at, while pursuing other passions—that their careers give them the means to finance—on the side,” he adds. What makes you unique and different? Why should other people pay attention to you? What do you have to offer? What gives you an edge over the competition? Be ready and able to articulate your edge at every step of the job-search process: in cover letters, at networking events, and certainly during interviews. Your generation has really honed your social connections. You have friends, fans, followers, circles, and more. Now it’s time to put all of them to good use. 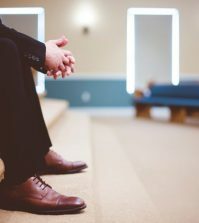 Put some feelers out and ask, “Does anybody know anybody?” Especially when opportunities are scarce, finding a job is often about who you know as much as what you know. And don’t worry about “imposing,” says Carpenter. Odds are, you’re very effective at connecting digitally. But how are your in-person skills? Even if (especially if!) face-to-face, real-time communication is outside your comfort zone, you’ll need to work on in-person networking. Connecting a face and a personality to your résumé can be a game changer. Think about it: How many of your peers will potential employers meet (and thus remember) sans computer screens? Not many. Yes, you should absolutely use informational interviews to get a job interview! At some point toward the end of the conversation, if it hasn’t come up already, say, “Your company sounds exactly like what I am interested in. Do you know of any job openings I might be able to interview for?” And don’t feel like you are imposing or being too forward by asking that question, assures Carpenter. All reasonable and experienced professionals will expect you to be assertive. In fact, they may think less of you if you aren’t! Reach out to a lot of people. At this point in your job search, how many people have you contacted for interviews? How many more do you intend to contact? If you’re like many of your peers, chances are the number tops out around 15 or 20. That’s nowhere near enough, says Carpenter. Practice talking about your résumé. At most interviews, you’ll be asked questions concerning your résumé. You never know what will catch the eye of an interviewer, though, so you need to practice framing everything on your résumé in the best possible light. Also, hone your ability to bring any questions that aren’t about your résumé back around to what makes you qualified for the position. Not all your answers will be jaw-dropping showstoppers…but they all need to be well thought-out and designed to show the interviewer why he or she needs to hire you. Understand whose problem you’re trying to solve. Once again, Carpenter reiterates that the key to being offered a job is showing the interviewer that his or her company needs you. If you haven’t experienced rejection on the job search trail yet, you almost surely will. For most people, this “game” entails a significant amount of “noes” before that “yes” finally materializes. Don’t allow rejection to discourage you, Carpenter urges—use it as fuel for your determination and improvement. Most of all, he says, be fearless. Yes, there’s something to be said for staying cool under pressure, especially during a nerve-wracking interview. But don’t take your calm demeanor too far, Carpenter warns. You must show excitement for the job!